It’s Flu Season! Be Prepared! They are sounds we’re all familiar with this time of year- snuffling, sneezing coughing…and we all run in the opposite direction from where the sounds are emanating. That is definitely not something that you want to be around, and you find that you’re donning rubber gloves just to hand paperwork to your afflicted co-workers. That’s right folks, its flu season! I’m not going to inundate you with statistics of how many fatalities are attributed to flu every year, or even how many people are diagnosed; you’ve been around the flu season block before and have heard it all at least once. 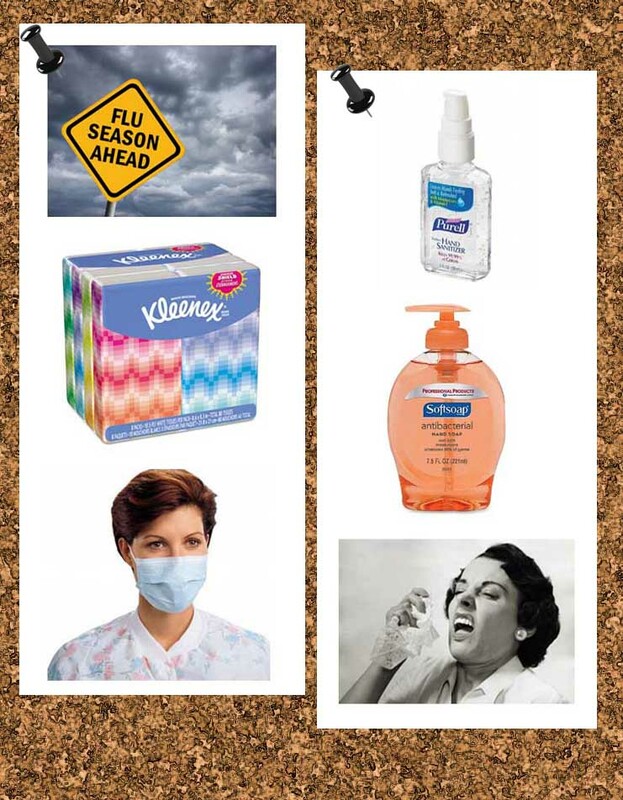 As your friendly neighborhood blogger, I did want to mention a few things you can do to prevent getting the flu yourself. Which is just basic self-preservation at its base, right? The flu shot is the first defense in your flu season arsenal. Second is hand sanitizer, but that one comes with a caution label – use too much, and you run the risk of catching EVERYTHING that comes down the pike because you’ve lost most of your natural resistance to bacteria and viruses. Next up is antibacterial soap and you really have to use it. A good rule of thumb to follow when washing your hands is to sing “Happy Birthday”. That gives enough time for the soap to work. Just make sure to sing it to yourself, not out loud or else you’ll get strange looks. Other steps you can take are medical masks, over the counter immunity boosters, gloves, and hazmat suits…okay, well maybe not those. Carry tissues so that you don’t sneeze into the air, and as a handy catcher’s mit for those explosive coughs.Point is, do what you can to avoid getting sick, so that you don’t lose work, get your family or co-workers sick, or contribute to a world-wide pandemic of epic proportions. Next Post Start Your Heaters!